Hanukkah offers many opportunities for fun and joyous celebration. Hanukkah’s proximity to Christmas can complicate the holiday. For those who try to make Hanukkah more like Christmas, it inevitably seems to fall short. Yet while Hanukkah was traditionally not one of the most central holidays of the Jewish calendar, it can, nonetheless offer many opportunities for fun and joyous celebration. Here are some suggestions for how you can make this Hanukkah memorable, while still staying true to the essential meaning of the holiday. There are many ways to make this year’s Hanukkah a real “Festival of Light.” As Rabbi Arthur Waskow writes in his book, Seasons of Joy, “Hanukkah is the moment when light is born from darkness, hope from despair.” Historically, this was reflected in the unlikely victory of the Maccabees over the Greeks, in the oil that brought light for eight days instead of one, and in the very act of lighting candles during the darkest time of the year. 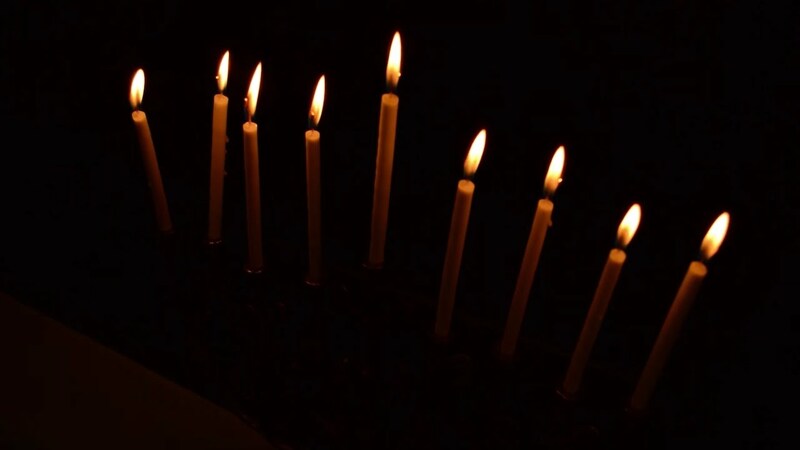 For more ideas on celebrating Hanukkah with children, visit out our partner site Kveller. Before lighting candles, try taking your family on a night walk. Go outside together and feel how dark it is. Even in the city, the month of December has a special darkness to it. 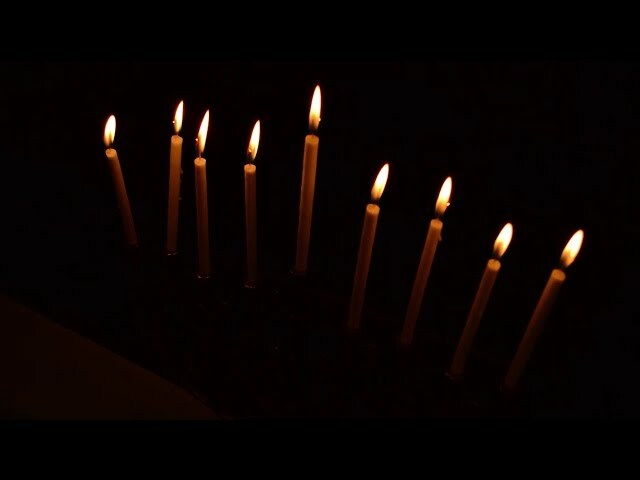 Then come in from the cold and light the hanukkiah (menorah). Feel the contrast between the darkness outside and the light inside. Hanukkah is also a wonderful time to bring light into the lives of those around us. The winter months can be especially difficult for those who need help. Why not take come time this holiday to volunteer as a family at a local soup kitchen, shelter, or any place that is meaningful to you? Often, Jewish homes for the aged have Hanukkah parties or communal menorah lightings. These are opportunities to connect your children with the older generation and help make the celebration more festive for the residents. Hanukkah can be a great time for simple and fun family art projects. There is a custom for each member of the family to have his/her own menorah. This year, why not make your own? You can buy lots of small votive candles (yahrtzeit candles are an inexpensive way to do this) and decorate the glass with a collage of colorful pieces of tissue paper. When the votives are lit, light shines through the tissue paper like stained glass. This is a great hanukkiah for the Friday night of the holiday, when the candles are supposed to burn for at least two hours— as long as Shabbat candles burn. No matter what kind of hanukkiah you use, try to place it in as visible a spot as possible to fulfill the mitzvah of pirsumei nisa (publicizing the miracle). And don’t forget the decorations. Judaica stores sell lots of colorful Hanukkah decorations that make the house feel more festive. You may want to choose your own Hanukkah decorating theme. I know one family that decorates their house with homemade pictures of Jewish holiday objects, which symbolize to them the uniqueness of Judaism — definitely a theme of the holiday. For more Hanukkah crafts, visit our partner site Kveller. One of the wonderful things about Hanukkah is that it lasts eight days! Giving each night a special theme can increase the excitement and take some of the attention away from presents. Themes might include “Tzedakah (charity) night,” “Sing-Off Night,” “Party Night,” and of course, “Presents Night!” I know a family that eats a different kind of potato latke (pancake) for dinner each night. Apples, cauliflower, or even meat can be delicious additions to the traditional potato latke. For a creative collection of latkes recipes see here. Cheese is also a great Hanukkah food, as it recollects the heroism of Judith, who cleverly fed Holofernes, a general fighting the Maccabees, salty cheese and wine. When the general promptly fell asleep, Judith cut off his head and thereby saved her town from his tyranny. For more recipes for latkes and other Hanukkah foods, visit MJL’s food blog, The Nosher. Hanukkah is also an ideal time to do fun activities like playing music, taking pictures, or making home movies documenting the year’s celebration. One family I know drips Hanukkah candle wax each night on their family album. Then, the following year, they take out the album, look at the wax, and try to remember where they were and what they did on each night. One of the miracles of Hanukkah is that the Jewish people were able to re-consecrate the Temple — our spiritual center and a powerful symbol of our uniqueness. Hanukkah today presents us with the opportunity to re-consecrate our own uniqueness as a religion, a people, and a culture. Hanukkah is a time to discuss as a family some of the blessings and challenges of being Jewish in a predominantly Christian country. One way to spark discussion on this subject is to watch a movie that in some way tackles the subject of assimilation. Some suggestions include: My Big Fat Greek Wedding, Avalon, Keeping the Faith, The Jazz Singer, Monsoon Wedding, and American Desi. Snowflakes could be a wonderful seasonal Hanukkah symbol, as no two are alike. You can even make “Hanukkah Snowflakes” out of colorful paper and use them to decorate the house. And if Hanukkah happens to fall on a snowy day, take a walk outside and really look at the snowflakes that fall on your hand and try to see the differences between them. Have a joyous and meaningful Hanukkah! 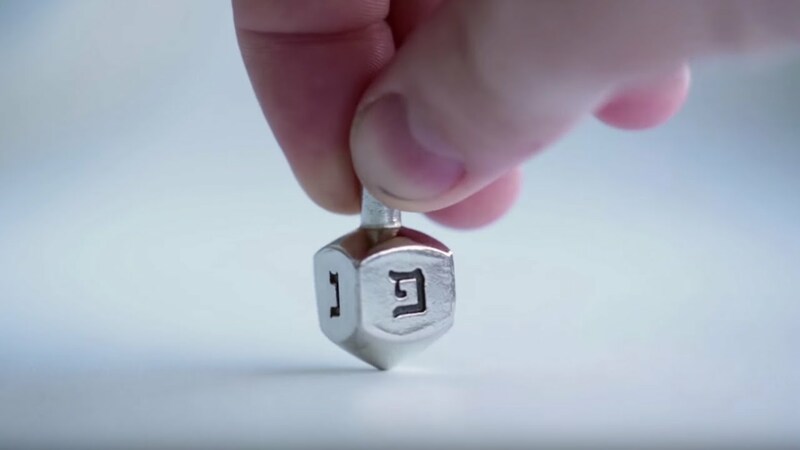 Learn how to play this Hanukkah game with our video and written instructions. Your cheat sheet for when Hanukkah is just hours away.